You'll be £30.00 closer to your next £10.00 credit when you purchase The Royal Navy in Eastern Waters. What's this? THIS IS THE COMPELLING STORY of how the Royal Navy secured the strategic space from Egypt in the west to Australasia in the east through the first half of the Second World War. This contribution, made while Russia’s fate lay in the balance and before American economic power took effect, was critical. Without it, the war might have lasted longer and decisive victory proved impossible. After the protection of the Atlantic lifeline, it was the Royal Navy’s finest achievement – a linchpin of victory. Andrew Boyd argues persuasively that it was the Admiralty, demonstrating a reckless disregard for risks, which was primarily responsible for the loss of Force Z in 1941, not Prime Minister Winston Churchill as traditionally suggested. However regrettable, this loss was not a sign of fundamental imperial failure but rather a temporary setback, eclipsed by Britain’s strategic success in securing what really mattered. He demonstrates how the Royal Navy recovered quickly – coming close to a British Midway off Ceylon against the Japanese in 1942. Superbly researched and elegantly written, this book adds a hugely important dimension to our understanding of the war in the East. Absolutely essential reading if the period is to be properly understood and earlier, less well informed, prejudices countered with it. Dr Boyd has proved his mettle as a naval historian of the first rank, something worthy of clear recognition in your distinguished pages. Boyd takes on many tired, established narratives and gives them a meticulously researched, carefully argued and highly readable shaking. International Journal of Maritime History, May 2018: reviewed by Tim Benbow - King’s College London, UK. This book is a history game-changer in putting the Indian Ocean at the centre of Britain’s war strategy as it evolved from 1939 to 1942. It is well-written and well researched: there are 85 pages of footnotes and the bibliography extends to 27 pages. For a serious academic book it is also extraordinarily good value for money at only £30.00, and Seaforth are to be congratulated on making Boyd’s thesis available to a wider public. Much has been written about the Naval campaigns in the Atlantic, Mediterranean and Pacific theatres of the Second World War. However, much less has been written about the war in the Indian Ocean, and Andrew Boyd fills this gap. This is an important new study in which technical detail, intelligence and individual actions are incorporated into an overall strategic account that is likely to change the hitherto accepted interpretation of these crucial periods of the war. This book must be on the shelves of anyone interested in the history of the 20th-Century RN. It is a substantial work in every way. Few people will deny that the loss of the capital ships Repulse and Prince of Wales in December 1941 was a naval disaster. However, this new in-depth look at the Royal Navy in Eastern Water argues that it was the admiralty, demonstrating a reckless disregard for risks, which was primarily responsible for the loss of Force Z in 1941, not Prime Minister Winston Churchill, as has been usually suggested. Boyd challenges many previously established writings about the naval war in the Far East, very highly recommended. The extensive evidence marshalled is compelling and future scholars will have to take note of this reconceptualization. This book is recommended for specialist naval historians as well as general readers interested in the Second World War at sea. This book has valuable information and insights despite those few areas in which one might disagree, and so I recommend it to anyone interested in this often overlooked subject. For anyone with an interest in the Second World War, this book brings a new dimension of research and interpretation which combine to put it into the essential category. It is a superb work of historical analysis that I cannot recommend highly enough. Boyd shows that most of the air enthusiasts’ arguments about Force Z and the primacy of air power over sea power in 1941 are based on bogus history. I doubt many of them will read this book, but they should be forced to do so. It is time for Boyd’s more realistic view of this history to be accepted. The publisher’s jacket notes tell us that this is the “compelling story of how the RN secured the strategic space from Egypt in the west to Australasia in the east through the first half of WWII”. Traditionally, we think of the naval war in the Mediterranean Sea and the naval war in the West and South-West Pacific without thinking much about the vast space of the Indian Ocean in between. That is apart from Adm. Nagumo’s foray in early 1942. What this book sets out to do is to dispel the myths that Britain had no clear idea of the importance of that ocean and how to secure it as the launching point for what was seen as an inevitable war with Japan, that is before the other Axis enemies, Germany and Italy, took on an earlier priority. 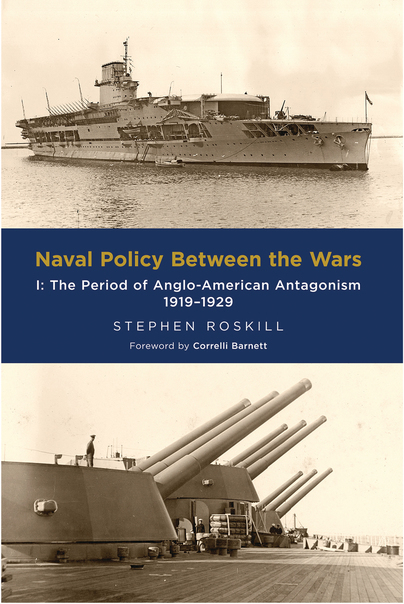 In doing this, the book moves through various aspects: political considerations, strategic considerations, tactics, intelligence and the ships and aircraft of both sides. Andrew Boyd, a former RN submariner and later a civil servant at the Foreign Office but currently an academic at the University of Buckingham, covers all of these aspects with authority and his conclusions will certainly cause many raised eyebrows. Or as Nicholas Rodger, in his Foreword says “this is a book which ought to startle the many comfortable ideas which have been dozing too long in their armchairs”. One particular area in which the author takes to task the long accepted and previously unchallenged wisdom that it was Churchill who insisted on HMS Prince of Wales and HMS Repulse being sent to Singapore to deter the Japanese from moving south from Indo-China rather than the Admiralty. The author explains how this came about as a result of increasing involvement by the USN in escorting Atlantic convoys, which in turn allowed the Admiralty to attempt to deter Japan by reinforcing the neglected (up to that time) Indian Ocean. The book is therefore an important re-evaluation of what the Government in general and the Admiralty in particular did in this sector, albeit that due to the initial superiority of the Japanese when they attacked it resulted in both the loss of Force Z and later HMS Hermes and two cruisers in the area south of Ceylon. However the author’s research also dispels the myths that the Admiralty totally underestimated the IJN’s ships, aircraft and capability. Whilst Britain’s inter-service Joint Intelligence Committee (itself a novel idea!) did get some things wrong in their Appreciations (e.g. size of guns fitted to IJN’s Mogami class cruisers) they were broadly right on most things and had a much better idea of the Zero fighter’s capabilities than the US, despite General Chenault’s warnings. Where it all went wrong was in the speed of the Japanese simultaneous advance into SE Asia and the Western Pacific. One particular feature of the presentation is the brief summary of content at the start of each chapter. This is especially useful where some of the chapters go into a considerable amount of detail with a consequent distraction from the main thrust of the content, even allowing for the 84 pages of End Notes. However if the book does have one weakness, it is that there appears to be more concentration on committee meetings, reports and policy to the detriment of the battles once war overtook the area. 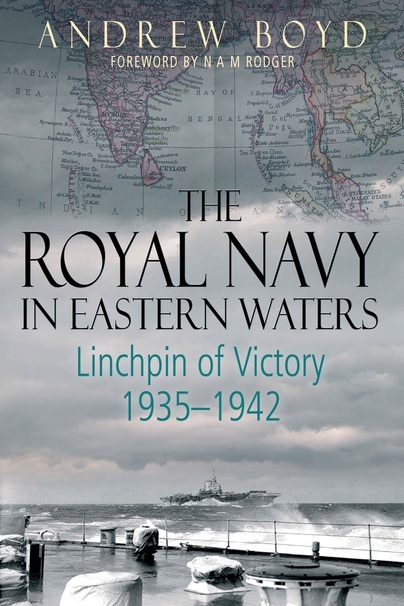 Possibly other works have concentrated on the action rather than the talking, but even so, the author has indicated in the subtitle that he sees the RN’s involvement as being the “Linchpin of Victory 1935-42”. It is not clear whether the USN quite saw it in the same light. Certainly the author does make some rather fanciful claims about what the RN in general and the FAA in particular MIGHT have done “if luck had been on their side”, as it was for the USN at Midway. A full-on Indian Ocean carrier battle would make an interesting “what if” book for the future. However this is a small point in a monumental work and one that, as Nicholas Rodger has said, will certainly shake up some long-established ideas. This new work tells the compelling story of how the Royal Navy secured the strategic space from Egypt in the west to Australasia in the East through the first half of the Second World war; it explains why this contribution, made while Russia's fate remained in the balance and before American economic power took effect, was so critical. The book is illustrated with a selection of thirty black and white photographs that excellently complement the text. I consider myself to be a reasonably well read amateur historian of both the Royal Navy and WW2. This book has definitely added to my knowledge, providing an in depth context to the Force Z disaster, as well as the RN's near disaster during the Japanese Indian Ocean Raid four months later. But the book is a hard read as it slowly - sometimes very slowly - describes the evolution of British government and RN strategic thinking and plans in regards to the defense of the Eastern Empire from the mid-1930's to 1941/2. Despite the author's attempt to differentiate the chapters, I would slog through 30 pages and wonder if I had repeated the previous 30. Nevertheless, Andrew Boyd has added an invaluable contribution to a field that I thought had long been saturated. I found particularly interesting his strong argument that the RN was much better prepared for WW2 in terms of both material and planning than has been the general consensus since the 1950's, and indeed could not have done much more given the pace of technological change and the many uncertainties that it was faced with in the late 1930's. 5* Superbly researched and well written. Exciting new research into the difficult strategic choices facing the Royal Navy in the Far East. A fascinating insight into how the Royal Navy recognised and dealt with the risks posed by the Axis powers had they gained control of the Indian Ocean and Middle East oil and the impact that would have had on the outcome of World War II. 5* This is honestly one of the best books I have ever read! Thoroughly recommended. This book will be essential for military historians with an interest in the naval campaigns of World War II, but non-academics will also appreciate its clear, lucid style, its elegant language, and its fascinating conclusions. Andrew Boyd writes with detachment, but he clearly feels passionately about the misinterpretation of the Royal Navy's efforts in the eastern waters. Britain's contribution in this theatre of the war has been generally overshadowed by the loss of Force Z, the task force that was supposed to bolster the defences of Singapore, and by America's victories in the Pacific, notably at the Battle of Midway in 1942, but Boyd successfully places these successes in the context of a grand strategy in which the Royal Navy played its full part. He relates technical detail, intelligence and individual actions to an overall strategic account that is likely to change the accepted interpretation of these crucial period of the war. If you thought you understood the shape of the arc of Britains's decline as a global power between 1935 and 1945 then read this book and think again. It's a compelling account of a wartime British naval strength and reach which upends the comfortable notion that the loss of Singapore and the sinking of the Prince of Wales and Repulse in late 1941 reduced Britain to a toothless power in the Eastern theatre. Try the book's remarkable tables which total the warships commissioned by the main naval powers from the 1920s to the 1940s, though today's British Admirals should probably best look away. This is an important book that does justice to parts of WWII that have been largely forgotten. The Royal Navy in Eastern Waters played a critical role in the steps to eventual victory over the Axis countries. – Very Highly Recommended. In addition to its focus on eastern waters, this book clarifies Allied strategy in operations across the globe and the scale of Boyd’s research can be gathered from the 27 pages of bibliography and 84 pages of end-notes that follow the 409 pages of text. For anyone with an interest in the Second World War, this book brings a new dimension of research and interpretation which combine to put it into the essential category. I would also put it into that category for anyone with an interest in the strategic planning of modern defence alliances and the co-ordination of coalition operations in the twenty-first century. It is a superb work of historical analysis that I cannot recommend highly enough. This is a fascinating book which ends in 1942 on the basis that there was no longer a credible threat in the Indian Ocean. What Boyd puts forward, successfully to my mind, is that despite some well publicised losses the RN achieved a vital strategic victory in keeping the Indian Ocean sea routes protected. This is a comprehensive and well argued book which successfully challenges many of the previously established writings about the naval war in the Far East. Very highly recommended. twentieth-century naval history. The Royal Navy in Eastern Waters is his first book.